Available at $21,995 +$499 doc fee + applicable taxes. 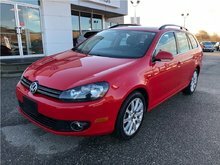 These Golf Sportwagen's offer space and convenience with fantastic driving attributes. 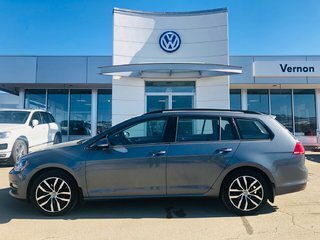 You'll receive a confidence inspiring drive along with legendary safety and performance with this one owner car, sold new at our dealership, and has bee dealer serviced. 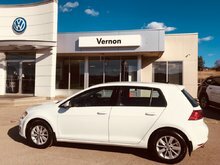 Call us for our great finance options on this lightly used Volkswagen. 4 Cylinder Engine 1.8L turbo - 4 cyl. 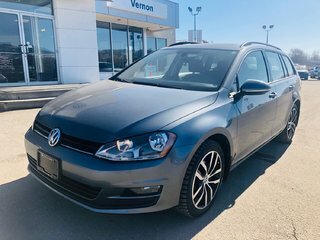 This vehicle comes with the remainder of the factory comprehensive warranty, and does qualify as a Certified Pre-owned Vehicle through our dealership! 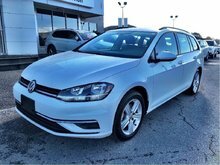 Interested by the 2017 Volkswagen GOLF SPORTWAGEN Comfortline One owner ?